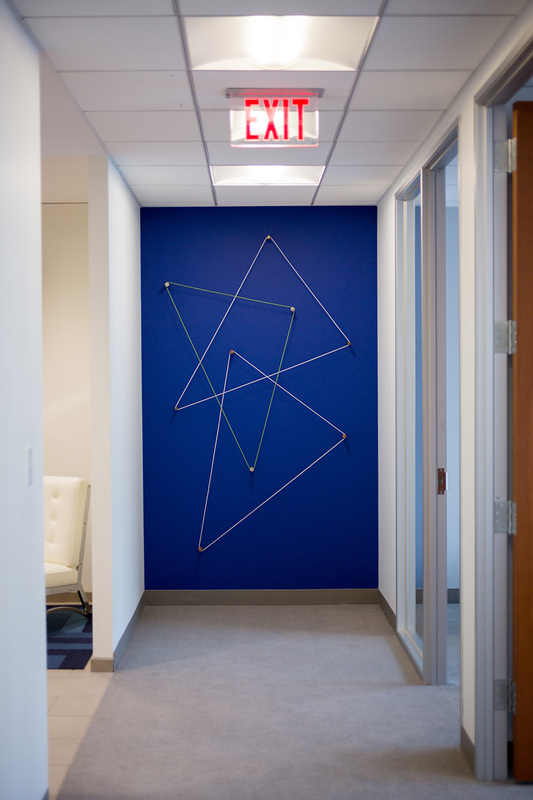 As part of our office design for The Moak Group, we incorporated a site specific art piece that evokes the working process of their office. 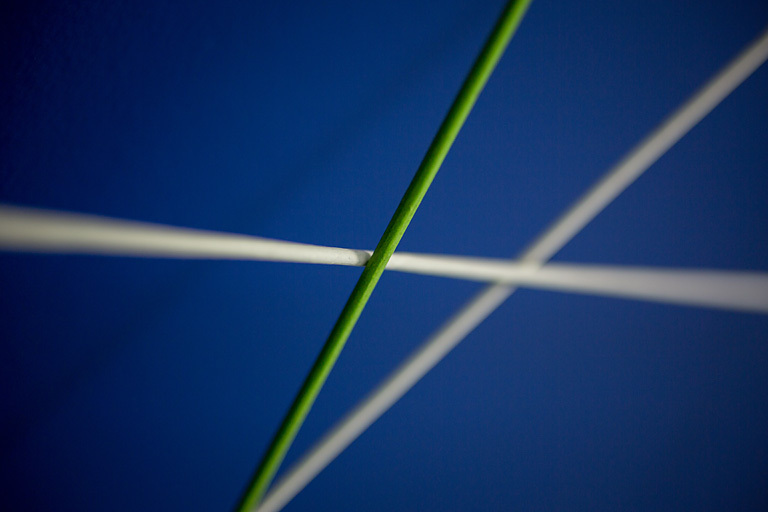 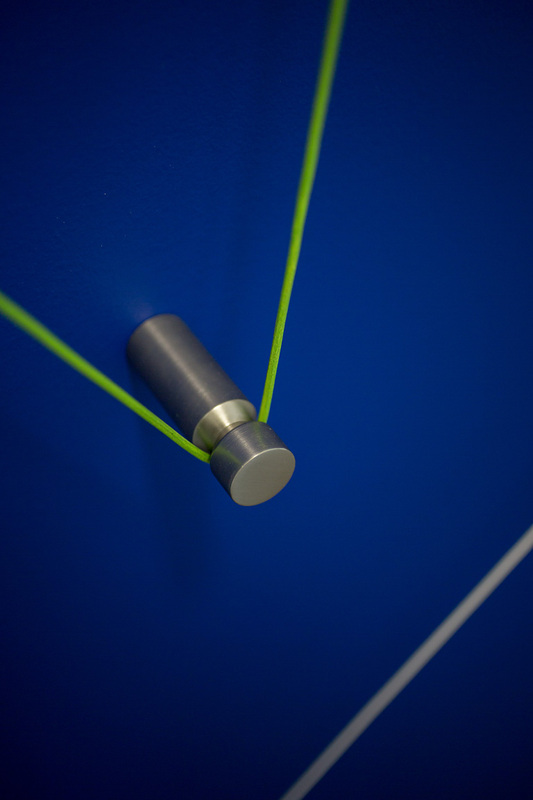 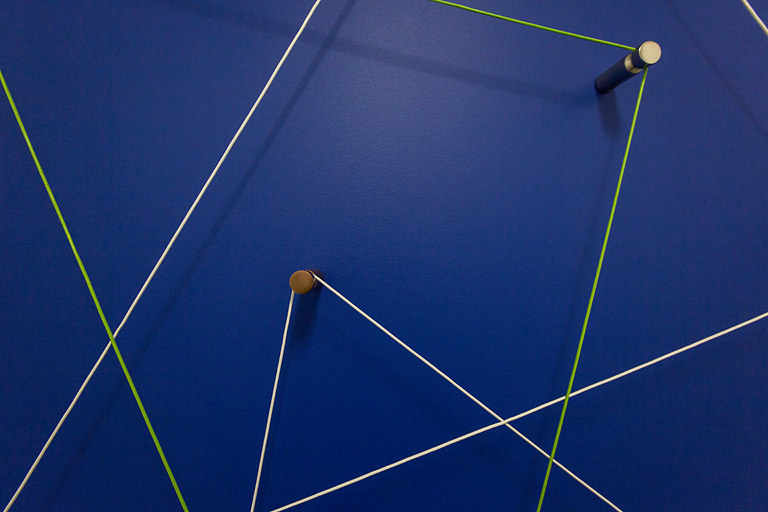 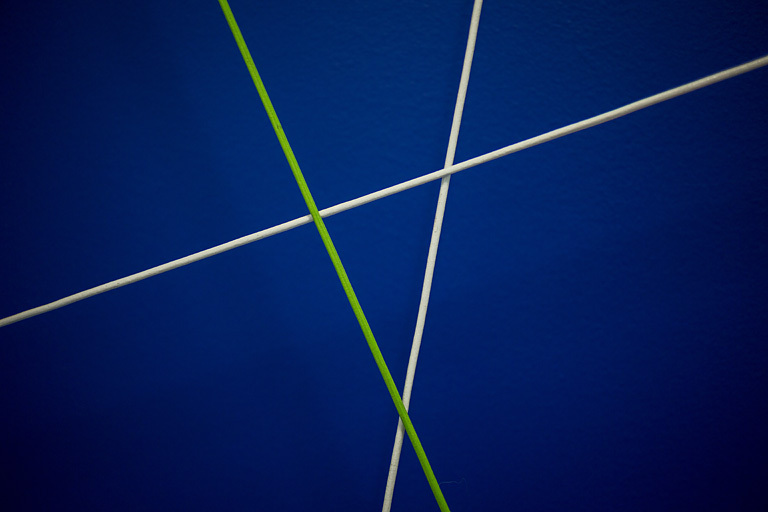 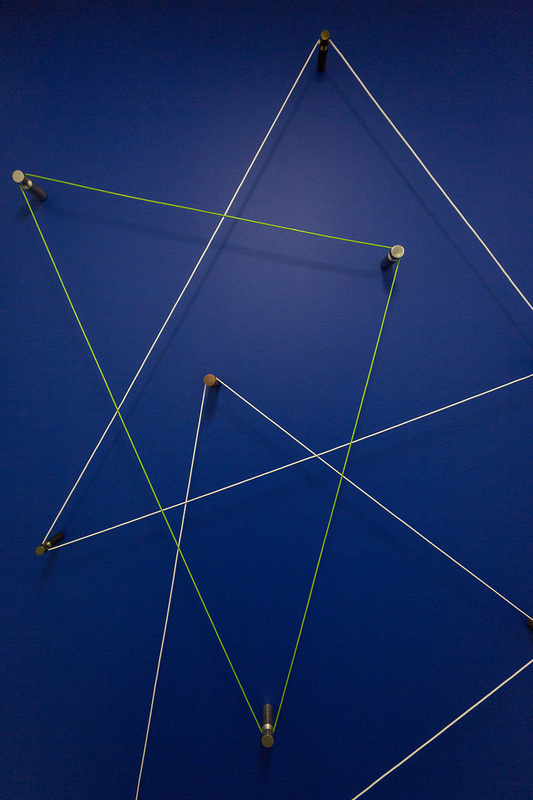 It anchors one end of their main hallway and conceptually it speaks to the interconnected, yet individual aspects of their company’s culture. 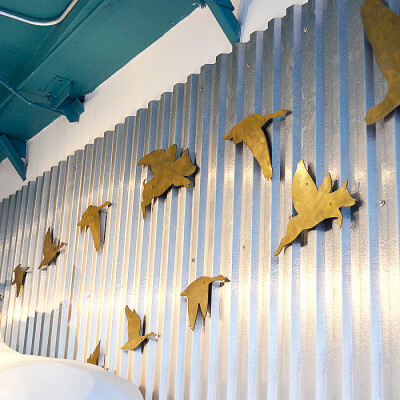 Just up the hall is their branded art wall, which layers in another aspect of their progressive and hard hitting approach.